Designing a new economy has major challenges politically. We want two major changes that actually aren't politically realistic in the current world where eight individuals own as much wealth as the poorest 50%. There is too much concentrated power. Then again, if we want to replace income tax with land tax, forget it. Not a goer either from a practical political viewpoint. No self respecting politician will touch it if taxing land reduces its market value and threatens a politician's votes. What about getting a Basic Income and replacing the intrusive welfare system? Well that depends on how you would fund it. The problem is most of the current solutions are a drag on the economy. You must not fund it from GST which is regressive or from income tax which is a drag on the economy.You must fund it by sharing the rent on land and other monopolies. Well where do we go then? You have painted a dismal picture. Most respond by saying "Oh well bring A or B in gradually". That takes ages and moreover when A is implemented it affects B and C. So the idea of just imposing a 1% land tax and bringing it up gradually is quite impractical. We have to think in terms of whole systems. It is a whole system shift we need. 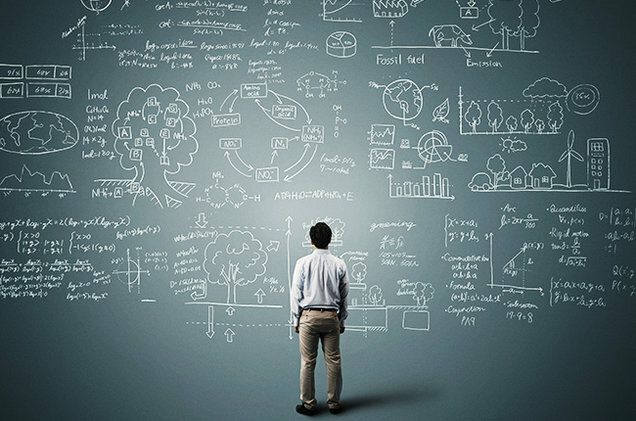 Redesign the political economy from scratch. The fact of the matter is that we must be politically savvy to come up with a solution. Many economists might agree that land tax is the most logical tax, but unless they are standing for office, they don't have to face the public. It is one thing to be an economist and another to be a politician. Victoria University's 2010 Tax Working Group which was stacked with economists from many government departments as well as consultants and academics, proposed a land tax. Did the government listen? Not that I can recall. I don't remember their recommendations on land tax being discussed in the public arena for more than a day. What about Positive Money and all its followers saying that money should be spent into existence not lent into existence? They make a very good case, you can't fault it. And yes, the British Parliament took it seriously enough to have a parliamentary debate. But do you believe it will go further? You only have to read Nomi Prins book 'All the Presidents Bankers' to get an idea how close presidents have been to the big bankers for over a century. Hilary Clinton's campaign was funded by investment bankers and Trump has six Goldman Sachs bankers in his cabinet. He has already moved to get rid of the weak regulations they now have. When considering the political feasibility of putting in the idea of Michael Kumhof and Jaromir Benes' Chicago Plan Revisited, a plan making bank debt illegal, Lietaer, Arnsperger, Goerner and Brunnhuber listed five reasons for not recommending it. "1.Replacing a monoculture with a monoculture is not the way to generate diversity in exchange media. 2. While it is true that a Chicago Plan reform would eliminate risk of widespread banking crashes and of sovereign debt crises, there would still be monetary crises. 3. If governments were the only ones in charge of creating money there might be a risk of inflation. Such a risk is real and demonstrated in 2009 by the hyperinflation crippling the Zimbabwean dollar after President Mugabe instructed the central bank to print its currency by the trillions. "5. The final argument is about risk. Nationalising the money creation process cannot be done on a small pilot scale. It must be implemented on a massive, national scale or, in the case of the euro, a multinational scale. Any change always involves the risk of unintended consequences. Logically, large scale change involves greater risk." Yes, there is a way to go. The ideas came from the permaculture teachers in our new economics movement. Reform the very structure of governance to give quite substantial powers to local government, turn governance upside down as well and then we might have a chance. The centralised governance structure must be replaced with distributed governance. Then we need to rethink the powers given to or claimed by local governance. In fact central government is not going to give very local government big powers like money creation, land ownership or revenue raising power, so they have to claim it themselves. This is where rebellion must be focussed. So we have proposed spending money into existence at the very lowest level of government (in New Zealand that would be the Community Board). That money will gradually buy up land. The Community Board would then receive land rent from the property holder and pay the rates (local taxes) of that property holder. This process happens gradually, while closely monitoring inflation. If there is a sign of inflation, the rate of decay of money can be adjusted or the money spent at a higher level of governance. So the Community Board claims the right to issue money, to buy land with that money, to receive public revenue. 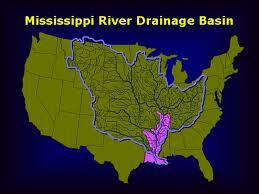 It could also impose certain resource rents to be determined. With the growing revenue from land rent the Board would be able to distribute regular Citizens Dividends and build and maintain essential infrastructure. There would have to be participatory budgeting so that the balance between infrastructure and dividends was maintained and the public was behind the Board. Now if we are going to reclaim the right to issue money, we might as well design it properly while we have the chance. It is there we look to history and read Bernard Lietaer. He cites a period of 2000 years of a decaying Egyptian currency which had huge social, educational and economic benefits, 200 years of European currencies in the central middle ages that resulted in an age of prosperity, equality, high education and more leisure and finally a period in 1932-3 in a small Austrian town during the Great Depression. Each of these had a decaying currency, much as goods decay. So the new money would be designed to decay. In practical terms, it would keep its face value but attract a regular payment to keep it valid. The local Board would develop a more equal relationship with its local Council who would inevitably end up accepting the new currency for rates. This would eventually pass on to central government who would have to accept it for taxes. So what we propose is a new currency that soon is accepted by central government for taxes. This means it is a new national currency. They way this works out is that each local board keeps its currency from inflation so all are on a par. 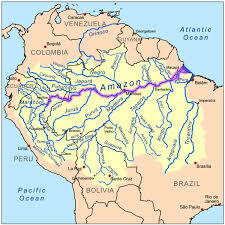 They flow into a stream that flows into a river towards central government. Why not put Council owned land into a Community Land Trust? It's local body election time. I was privileged to speak with Emer O'Siochru of FEASTA recently. Twenty years ago she was a cofounder of the Irish Foundation for the Economics of Sustainability. She has campaigned for proportional representation. For three years she worked for a Site Value Tax but it was not successful. She is now working on Community Land Trusts. We spoke about the challenge of connecting Community Land Trusts with local government so that local government could receive income from land rents. Suddenly there it was. She said in Dublin local government and central government owned a third of the land and so why couldn't that land all go into a Community Land Trust? Imagine all of us trying that campaign together so that local government all over our countries would be lobbied to do this. Oh yes there would be obstacles. There will only be a few people you know, for instance, in your local Community Board area who understand that allowing property owners to profit from the rising value of their land is depriving society of its rightful income. So for a start there will only be a few to work with. But you only need three or four keen people. The idea is that instead of Council selling off their land to developers, the council would continue to own the land but the lessee would be able to build a house on it. This is leasehold land. But every year the rent should be reassessed. This could be done by setting up a Land Rental Index to adjust the rent according to the change over that year. Our land is valued every three years anyway. All it means is that a sample of properties would be assessed for their annual rent. You start with an index of 100 and next year it might go up to 102 if there had been development in the district. Or if you live in Westport of Wairoa where land values are declining, the rental would drop. The main obstacle the Council would raise in New Zealand would be that Council wouldn't know how to levy rates because it wouldn't know how much to charge. You see in the Kapiti Coast District Council where I live, rates are on Capital Value plus several Fixed Annual Charges for services. They wouldn't be able to separate out land from improvements. The rating system on Capital Value discourages building because the more you spend on building the bigger your rates bill. So some campaigner will stop at this point and work to change the rating system. Rating should be based on land value only or Unimproved Value. And fixed annual charges are regressive because the poor pay as much as the rich, which means it is a larger proportion of their income. The advantage for lessees is that you only need to pay for the house not for the land. Since land comprises more than 60% of the property value in Auckland and usually over 40% in smaller areas, houses themselves become vastly more affordable. The lease would also have to be fair and it would be best for a 75 year period, a lifetime. It is just that the rent must be adjusted yearly to avoid any crazy leaps as in Auckland. Of course this would all work better if the people who pay rent on their land are also able to escape income tax and GST. They go together. But this problem is for another day. But somewhere someone will be successful. One day. The average price for an Auckland home is now just over $1 million. The media focuses, as they usually do, on how impossible it is nowadays for young people to buy a house, with a side mention of how difficult it is for nurses, service workers and teachers to buy a house, and how the Auckland problem is spilling over to the entire country. There has also been a great deal of publicity in the last six months about homelessness, with a marae in Auckland shaming the Government into action by opening its doors to the homeless for the winter. But there is another big issue that is almost never mentioned – the lost potential public revenue from land rent. Land rent is what the occupier would pay to the public if the public owned the land. Many have explained that the rise in value of homes is really the accumulated land rent over that period. It is also called the capital gain or unearned windfall. Recent figures from Quotable Values New Zealand allow us to work out the on-paper profit for our country's homeowners and for Auckland's homeowners. This of course is just on-paper, but because it represents their realisable assets it does allow homeowners to do other things e.g. borrow more for other purposes. 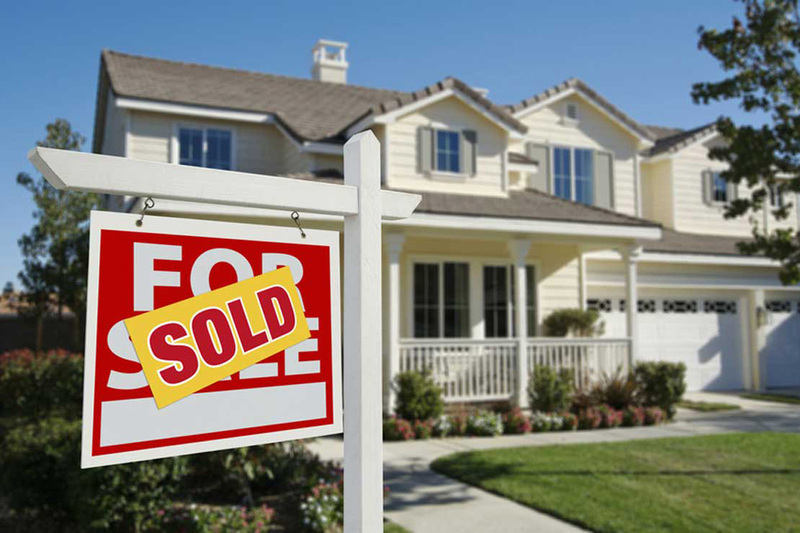 This calculation acknowledges that the figures are the houses that are sold only. Houses sold in that period were more like one tenth of the housing stock. But if my neighbour's house sells for $1million and ours is similar we know ours could sell for a similar price. Our house value is what a valuer would estimate or better still what the market would pay. Valuers value by looking at what did sell in the district and making comparisons. The bank recognises this as the value of our asset. And the fact that I had a huge mortgage didn't really make any difference. Supposing I only have $200k and buy a $900k house, selling it a year later for $1 million. I make a profit of $100k because my deposit of $200k was turned into $300k. Let's first take Auckland where the figures are the most dramatic. House prices rose nearly 16% last year. 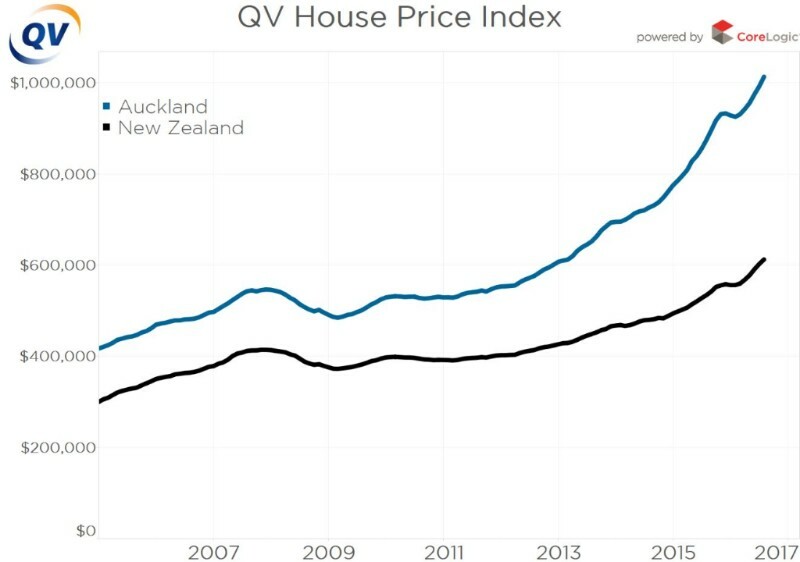 The average uplift in Auckland house prices in that period was $138,781. Since land values are created by the community around them, by the governments and communities that serve that site, the uplift belongs to the public purse. Rise in property prices are virtually all attributable to the rise in land prices. Schools, hospitals, infrastructure are built by government, central and local, and the private land owner reaps the profit. Businesses arrive, clubs start. Without a community around it, land has little value. (Even agriculture requires transport infrastructure. Land for conservation is usually publicly owned). The total uplift for Auckland properties was 461,669 (the number of residential properties in Auckland Council) multiplied by $138,781, or $64 billion. Now supposing this uplift was publicly captured month by month in the form of a full land rent, as it should be. What would the council do with it? 1. They could give half to the government straight away, leaving $32 billion. 2. They could put aside about $20 billion for infrastructure building and upgrading including rapid transit, and debt relief, leaving $12 billion still to be shared. 3. Sharing the rents is important. So the $12 billion could be given out as a Citizens Dividend to every man, woman and child in Auckland. The population of Auckland is about 1.58 million, making about $7,600 per person. For a family of five that would be $38,000. That should help a few homeless families! There are at least 1,771,2000 residential homes in NZ (2013 census). The average uplift in NZ house prices was the difference between the Aug 2016 price and the August 2015 price, which as $78,196. So multiplying these two, New Zealand homeowners on paper have assets worth about $138 billion more than last year. The tax take last year was $66.6 billion. So it is more than double the tax take. All this is privately captured when it really should be going to the state. In comparison to the $138 billion uplift for NZ, the GDP last year was about $170 billion. •	Aucklanders pay rates. However Auckland Council was introduced by legislation when amalgamation took place. This mandated that the rates were levied on capital values, thus requiring legislation for a change to rating system on land values. There is only miniscule awareness of this as a political issue. •	The viability these days of a centrally imposed land tax is not good, given the fact there are at least three bank lobbyists for every legislator and neoclassical economics is in full bloom. Nowadays the power of the landed and moneyed elite is so much greater in relation to the 99% than it has ever been. •	It has been legally impossible to impose land tax in NZ since 1992, though the PM seems not to know this because it was he that suggested putting a land tax on property bought by foreigners earlier in 2016. The idea died within a day or two. However this law could easily be reversed. •	No politician wanting to be re-elected would advocate a measure that was going to bring down house prices and leave homebuyers with negative equity. A 5-6% land tax would actually be for politicians and doing it gradually wouldn’t work either. •	Imposing a land value tax must go hand in hand with dropping of income tax so this has to be incorporated into the solution. But all is not lost! The obstacles are not insuperable. Think about the untenable current situation of housing prices and its destructive consequences of widening the wealth gap. We have to start on other ground breaking solutions. Let’s be pioneering here. A little history might give hope. New Zealand had a Liberal Government in the 1890s that imposed a land tax to break up big land holdings. Then it extended, but unfortunately it was at a higher rate per acre for large landholdings than for smaller ones, which was essentially unfair. This resulted in a new political party dominated by larger farmers. But land tax never reached more than 20% of the tax take, and income tax was gradually increased and extended. The same Liberal Government did however enact legislation to empower local government to hold a referendum where ratepayers could choose between land value rating systems and capital value. This was in place for 80 years and always resulted in the more equitable the public choosing land value rating systems. Cities like Wellington and Napier built on this rating system are compact. If money buys lobbying power, then we have to be more strategic and try different tactics. This might point to governance reform giving much more power to local authorities and to even smaller governance units. Given that the banks have a vested interest in profiting from the buying and selling of land and from the private ownership of natural resources and infrastructure, a host of local innovative actions may be the surprise option. And this would require huge resistance from local communities that are determined to share land values and preserve natural resource values. Maybe the old system should be left alone to collapse and die, and the new paradigm system reinvented at local level. We need to ask how land trusts can connect with localised governance units whose revenue is derived land and resource rents. But where would the money come from to buy the land? Maybe we need to create a local currency designed to circulate at an optimal speed. Maybe when there is surplus locally it can be steered from the periphery to the centre of government. Certainly clever, innovative thinking is called for and it should be all hands on deck for that task! And – great news – Martin is no centralist. He understands that revenue must flow from the periphery to the centre, not the other way round. So he talks of land moving into a Community Land Trust and people then paying a Community Land Contribution. Some of the revenue stays local and the rest is passed upwards to other levels of government. 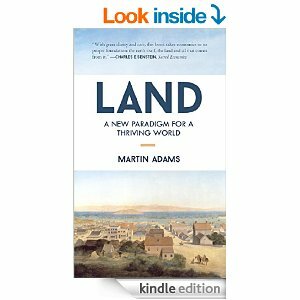 From his description of how to prevent urban sprawl to his chapter on using farmland efficiently, Martin challenges us to think in a fresh way. The questions arising from this book regarding the practicalities of some of his suggested solution remain to be tackled. Martin, being so honest and so curious, will no doubt ask more questions, talk to more people and develop more politically realistic solutions. It's monumental task. I have no doubt he will make an even bigger contribution in the future. Watch this space! Charles Eisenstein, Thom Hartman and Peter Barnes don’t just recommend any book or call a book a ‘brilliant contribution’ or a ‘modern breakthrough’. Their reputations would be at stake if they did. The combination of allowing banks to create money interest bearing debt, together with a land tenure system that allows people to profit from rising land values have led to growing debt, a built-in growth imperative, inequality and a never ending series of boom-busts. Both the issues of land and money need to be addressed, especially in the light of the climate emergency and the growing inequality we live with. In our search to design an economy that isn't at war with the planet – one that doesn't write in forced economic growth or widen the gap between rich and poor – we have opted to combine basic income, monetary reform, governance reform and tax reform (the latter closely related to land tenure reform). We want a world where everyone has a fair share of our common wealth. We want to replace the extractive model that is killing our habitat with one that is life-friendly. While addressing these reforms together is a huge challenge, we know for our climate's sake we must succeed. In reforming the system we know we can't afford to shock the economy. So we need incremental change of some sort and must look to nature for guidance about design. We realised early on that imposing a land tax alone was politically well nigh impossible, even at half a percent. Raising it to the a full land rental level would be just as hard. That sort of incremental change would not be possible. a. The banks would block it. They hold the power because they issue mortgages backed by land. b. The public wouldn’t like it because the market value of their property would decline. This is unacceptable especially to those with big mortgages. c. Property owners would argue they already pay rates and a mortgage so why should they have to pay a third time? We realised early on that reforming the money system by spending money into existence to build infrastructure would result in rising land values for those with properties served by that infrastructure – be it rail, schools or ports. It would be difficult to control land inflation and therefore to halt the march to further inequality. The rich would also buy up patents and any natural monopoly they could get their hands on. Funding a full Basic Income is also a considerable challenge. An extremely large sum is needed, even when the net public expenditure is calculated. During the summer of 2001-12 Deirdre had had a series of Skype calls with a Cambridge academic, the late Dr Adrian Wrigley. His solution was for the Treasury to pay off the mortgage and for a full land rental to be paid. The property would then have a covenant on it requiring owners to pay a full land rental to Treasury. No rates would then be payable. If the property was sold, the next owner would still have to pay that rental. We only wanted the land to be bought/paid for, not the whole mortgage, so we changed it to that. We soon learnt that using the preferred "covenant" idea was hard to explain to the public so we reluctantly dropped it in favour of publicly owned leasehold land. However we started with a centralised model of public ownership and remained with that for almost 2 years. All the time we were a uneasy about land being owned by any agency of central government. Adrian never talked of a parallel currency. It was our idea to have one. We thought the current system is so badly messed up we had to start again, and believe that this was also the way not to shock the economy. We knew a lot of land is overvalued and although we recommended buying land at market value, we know this isn't the total solution. So we recommended designing a second parallel (and competing) national currency, and link it from the start to completely new tax laws. After all no public budget would ever stretch to paying for such a large quantity of land, no matter how slowly it was acquired. Treasury, not the Reserve Bank, would issue Treasury Notes to buy up land. We happily adopted Adrian’s excellent idea of having a Land Rental Index for each area and adjusting the rental each year accordingly. Only the land value needs assessing not the improvements, so that is easy. And you only need a sample of properties in each general area. Land rentals are valued each year and the index suitably adjusted. Parity with the land dollar with NZ dollar became a hot topic of debate. After discussion we eventually said “issue it at par, redeem it at par and let it float in between.” The new currency would be valued by those who wanted to employ labour without tax or buy goods without sales tax. Then, in mid year 2014 we suddenly realised it didn’t have to be issued by Treasury at all. Eureka! It could be issued by Community Boards and the revenue could be shared by other levels of government and eventually flow to central Government. We said ‘turn the funding model upside down, replace centralisation with a model where decisions are made across the whole economy. Restore local democracy'. We gave a great deal of power to the local level of government – currency creation power, land buying power (compulsory where applicable), and revenue gathering power. A whole raft of tax laws applying to transactions using the new currency (the Land Dollar) would have to be passed right at the beginning. These would include all taxes on the rights to the use of natural monopolies. Natural monopolies are the rights to land, water, airwaves, minerals, fisheries, patents, domain names, hydro-electric power generation and supply, any public utility such as a port, airport or the monopolistic rights to reticulate wires, pipes, rails, roads and the like: the right to use water, air, land or the biosphere to absorb waste. So what does the policy say now? Our party wants to restore the concept of sharing the values of the commons, have a money system that doesn't build in increasing debt and the need for competitive behaviour. We want to distribute the rent from use of the commons to all NZ citizens over one year old as a regular Citizens Dividend. A new national currency the Land Dollar is to be slowly spent into existence at Community Board level to buy up land. No rates would be payable for those whose land is community owned. A local land committee would give local hapu/iwi veto power over decisions as some land may be sensitive even after Treaty settlements. The rent from the land would be shared with other levels of Government and as a Citizens Dividend – using participatory budgeting as there would be many simultaneous claims. Inflation would be controlled by a network of committees at different levels working with Treasury and Reserve Bank. Transactions using the land dollar would attract no income tax, GST or corporate tax. But a whole set of different taxes is needed. This is because it must not be spent to plunder the earth, deplete resources, subtract from the social or cultural capital or pollute the water, air or biosphere. That means a full carbon tax for example. For any currency to be effective as a means of exchange there has to be a circulation incentive built in. Adrian Wrigley suggested that rather than having a financial penalty built in for hoarding as recommended by Silvio Gesell, to make it easier each note should be issued with an expiry date. The electronic version when received by Treasury would be refreshed and redated before issuing it as a Citizens Dividend. All citizens would receive it. Where there were dependents, the designated carer would receive it, thus changing the economic status of carers. In time this dividend would rise to a basic income, allowing a huge range of inventions and options for people who have been in unsatisfying jobs but have a passion or a hobby they want to pursue. Entrpreneurism would flourish – much needed in a post carbon age. There are many unresolved issues. The property owner that has land bought with the new currency will have $100,000 plus to spend. Trades with the land dollar will not attract GST, income tax or company tax. We need actual examples, but believe a lot of it will be spent on labour to upgrade their homes or on the development of their small business. This policy has been derived by discussing with a range of people at and between meetings and it has been largely driven by Deirdre, who has received feedback from meetings in Christchurch, Otaki, Wellington, Motueka, and two at huis held by the Living Economies Educational Trust hui. We are also aware there are some big issues we have not yet tackled, like the issue of Maori land. 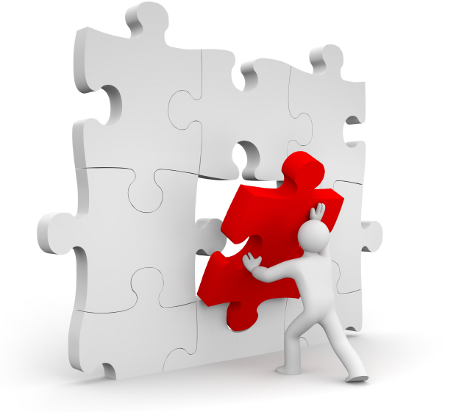 Our solution, we emphasise, is one solution. If you have another, please let us know!! Why not create a national currency at local level? 1. A second national currency. The currency to be issued by Treasury, spent into existence to buy land. The new currency will have no other taxes than land rents, natural resource rents and taxes on bads. We aim to move to a tax system that taxes the monopoly use of the commons rather than labour and sales. Some revenue will be distributed as a Citizens Dividend to all citizens who have lived there for a year or more, the rest will be shared by all levels of government. We advocate a Land Rental Index to be set up in each area, with land rents being adjusted annually according to the index. Land rentals are relatively very stable over time. It is only when there is a major event like and earthquake that they decline or when a railway is put in or a labour intensive business arrives that they rise more than just a tiny bit. The new money would be good for the payment of rates and taxes. No further rates would be payable. 2. We have occasionally advocated a Christchurch currency and an Auckland currency created by spending it into existence to buy land. This would require complete cooperation from the central government as legislation would be needed to make it free of income tax, GST and company tax as before. Rents would be shared as a small Citizens Dividend. The rest would be shared with central government. So a similar design but a city currency as well as a national one. This option 3 would require several currencies to co-exist. The usual NZ dollar, the new NZ dollar, the supercity dollar and the Local Board dollar. We had considerable difficulties and confusion when discussing exchangeability of currencies. 4. Option 4 arrived a couple of days after I spoke to a meeting at a Motueka ecovillage in response to the questions and problems. This one is simpler and is like the formation of a river from the small streams to the river to the sea. Create the new national currency at Local Board level and pass it up the line. Local Boards would set up a Land Committee to decide which land should be bought first. Each local board might decide differently in consultation with its community. Every decision has the right to be vetoed by the local hapu or iwi and where applicable the Maori Land Court should be involved. You would also need a local committee (perhaps the same one) to administer a Land Rental Index or where appropriate because of different desirabilities of sites e.g. Wellington hill suburbs for sun. You would also need a local Monetary Authority to monitor inflation. It would work closely with the Supercity Monetary Authority and the Treasury Monetary Authority to ensure there is no inflation and that no local board would issue too much or too little new money. These are such important entities that they would have to be voted in. There are so many issues to comment on here, it would be really good to have a general discussion. Then we can perhaps divide up the discussions. Option 4 finally gives real powers to the local economy, which is in line with our policy. 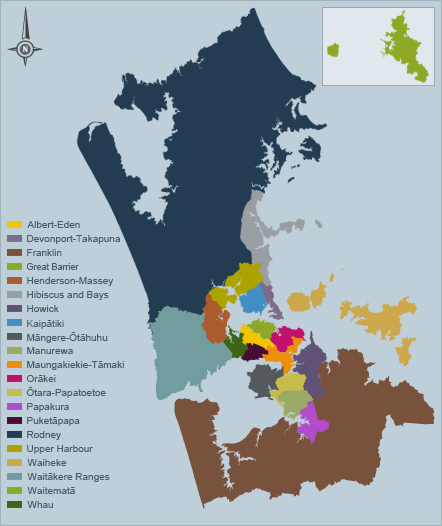 The land board may, after consultation with the local community, choose a local business which needs capital, or choose undeveloped land owned by absentee speculators or the local iwi may have very strong preferences. For instance, if the local committee chose five sections each valued at $200,000 it would create $1m of national currency. If the committee chose to purchase the land of a speculator, that speculator, seeing no future, might sell the lease and thus release the land for genuine use. Many with mortgages will want their mortgage reduced and, because the new currency is legal tender, the bank would have to accept it for paying off a mortgage. Or the committee may be persuaded that a local business needed capital to employ local labour and grow. A community land trust might ask for their land to be bought so they can take land out of the market. This would enable them to sell houses to younger people to join their village, as otherwise the cost would be unaffordable. They could then use the considerable injection of capital to develop their labour intensive businesses and the ones that use local materials. Then the monetary authority, in conjunction with the monetary authorities of the supercities and the government would make sure the local board did not issue more money than it was allowed, as inflation must be kept strictly under control. There could be problems with certain rogue local boards. Either they issued too much money and wouldn’t cooperate with the monetary authorities elsewhere, or their leadership was questionable. In that case there should be provision in law to instal a Commissioner until the Board's administration improved. In models 1-3 we have designed in a circulation incentive in the form of a dated currency. However perhaps in model 4, since all money flows downstream from local to central, there may be no need of this. Exchangeability with the national currency NZ dollar? We had it as they are issued at par and redeemed at par and in between the value changes according to the market. Some have argued there should be no exchangeability with the old national currency. Will the creation of a second national currency at local board level stimulate the local economy? How does this all line up with the Maori Land Trust boards and Incorporations situation? How would the public be protected from local board that go rogue and how would the wider public ensure that local boards representatives can deal with this level of responsibility? Now there is one more thing that comes before any of this. Councils and Government should never sell land. The idea of the government buying up the land in the Green Frame and then selling it off into private hands is unacceptable. They should keep it and auction the leases to the highest bidder, then share that revenue with the public (via a Citizens Dividend) and the central government. This should be entrenched in law somehow. Meanwhile a private bidder Auckland City Council has been offered $75,000,000 for a council car park. What a dreadful thing that would be if the council sold off this prime city land for cars to park and for a private enterprise to gain, both in car parking, and in capital gain. As they said in a The Nation programme on TV3, they are developing around traffic hubs. Of course. That means the public pays for the transport infrastructure and private land "owners" benefit from rising land values. Not fair, all wrong. Let logic prevail! Reservations about Crown Leasehold Land. There are many who will have reservations about the government or the local board buying up their land. The alternative we used to have was that the Government pays you for your land, and the title of your property then bears a covenant, an obligation to pay a ground rent from then on, whoever owns the land. While it is more difficult to explain to the public, a covenant of this nature would give much more peace of mind when it comes to secure tenure of the land. "Leasehold title" has such a bad reputation that it is difficult to explain there are no sudden rent rises if the rent is linked to an index and that the tenure is for a lifetime, with rights that your descendants can get the next lease. No matter how much this is explained it may be better to have a covenant.